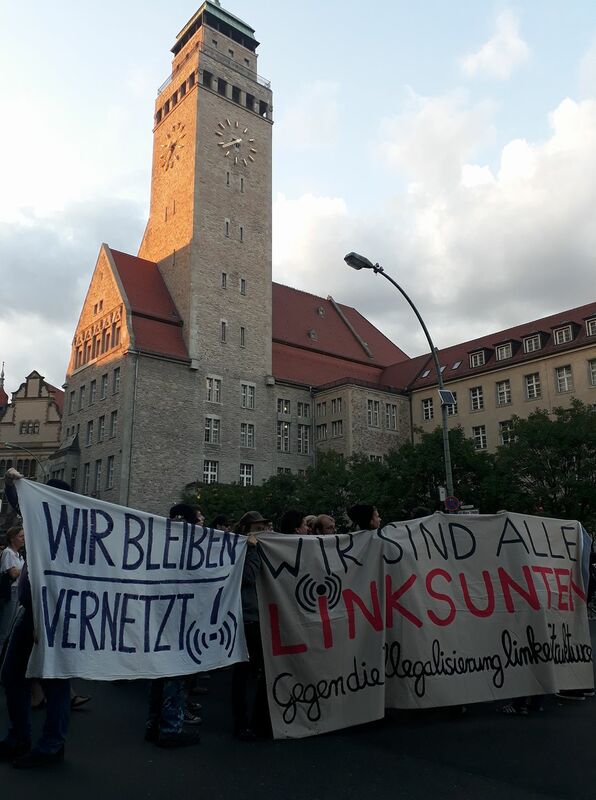 After the raids in Freiburg, Germany on August 25, there will be a demonstration on September 9. 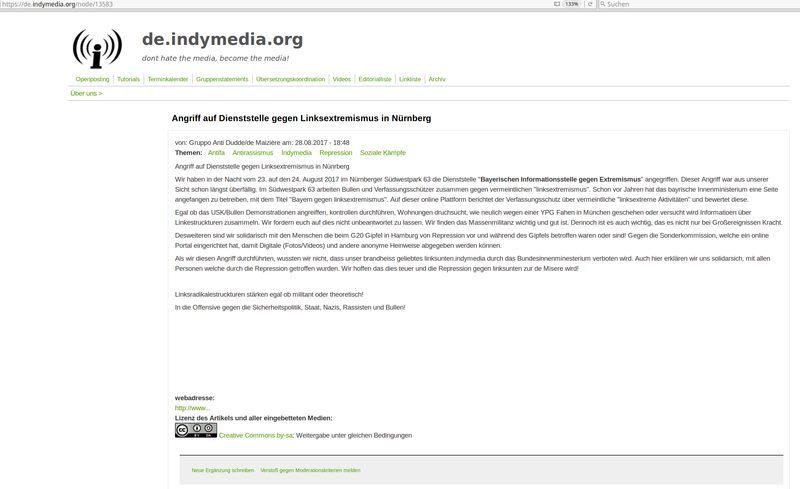 The demonstration will start at 07:00pm (19:00) at Bertoldsbrunnen in Freiburg, Germany. 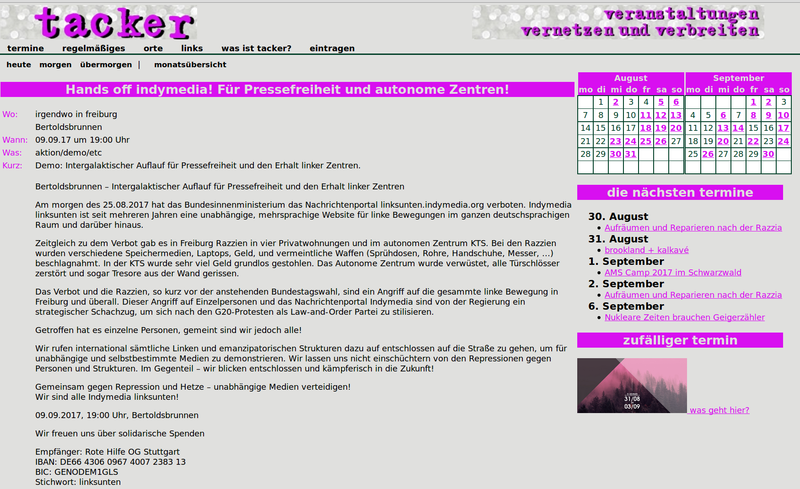 There is an international call for the Inter-Galactic march for freedom of press and the preservation of leftwing centers. 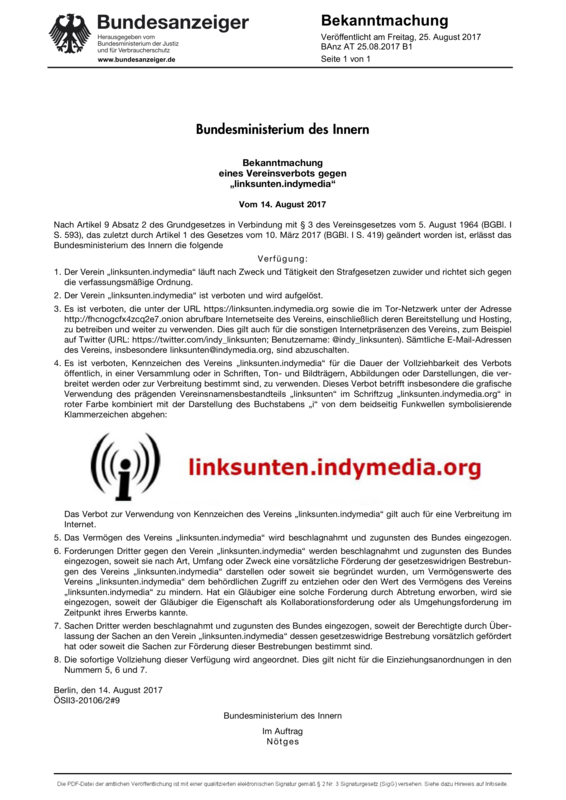 In the morning of August 25 the federal ministery of interior banned the news portal Linksunten Indymedia dot org. 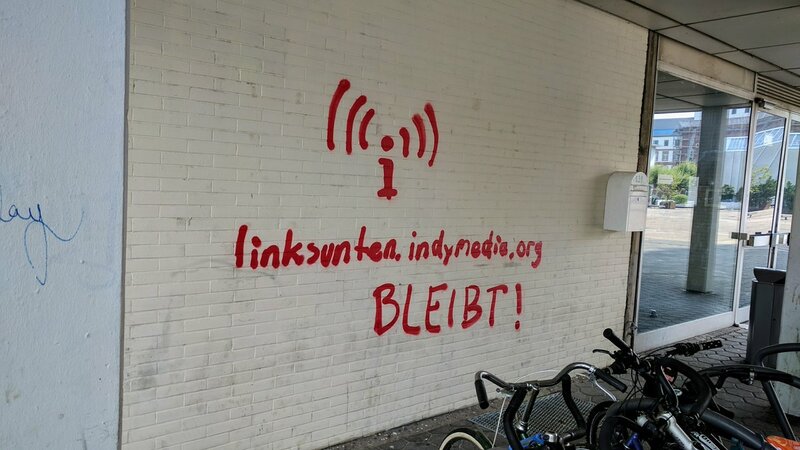 Linksunten Indymedia is an independent multiple language for leftwing movements in the entire German speaking area and beyond. 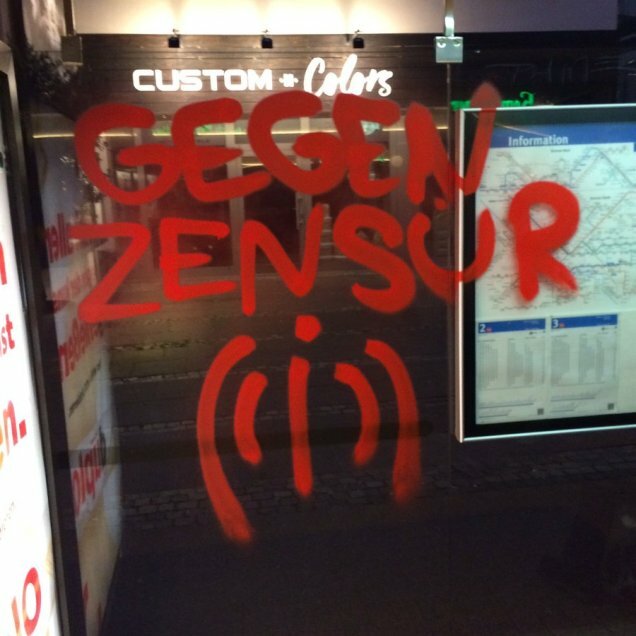 At the same time the website was banned, there were raids in 4 private apartments and in the autonomous social center KTS. 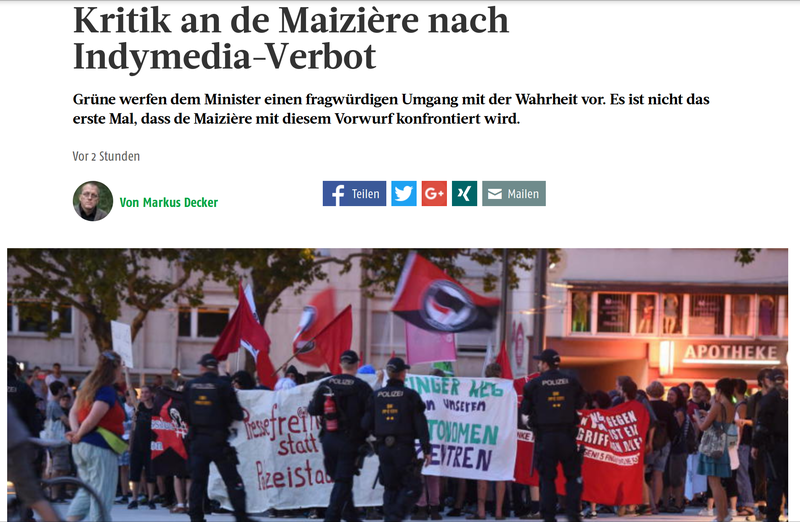 During the raids several storage media, laptops, money and pretended weapons (spray cans, pipes, gloves, knifes,…) were confiscated. 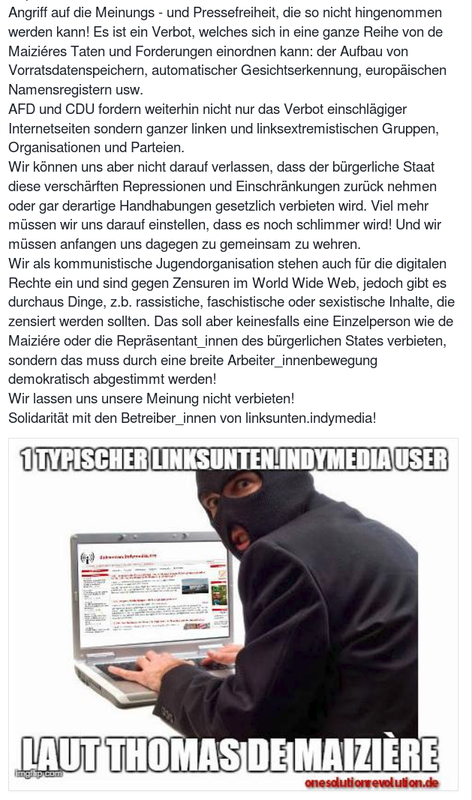 Federal interior minister Thomas De Mazière said during a press conference that weapons were found at Linksunten Indymedia, but only one day later his ministery admitted that the “weapons” that were found were not related to Linksunten Indymedia. 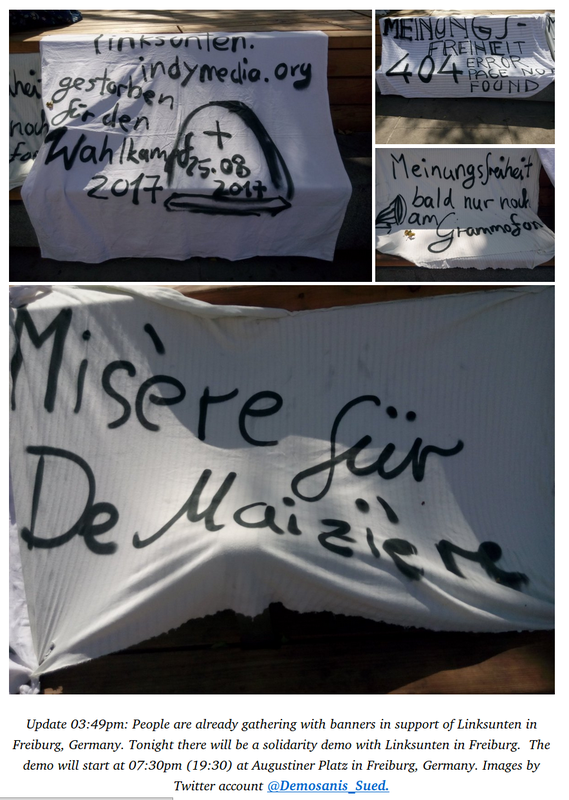 At KTS a lot of money was stolen for no reason during the raid. The autonomous center was ravaged. All door locks were destroyed, even a safe was torn out of a wall. 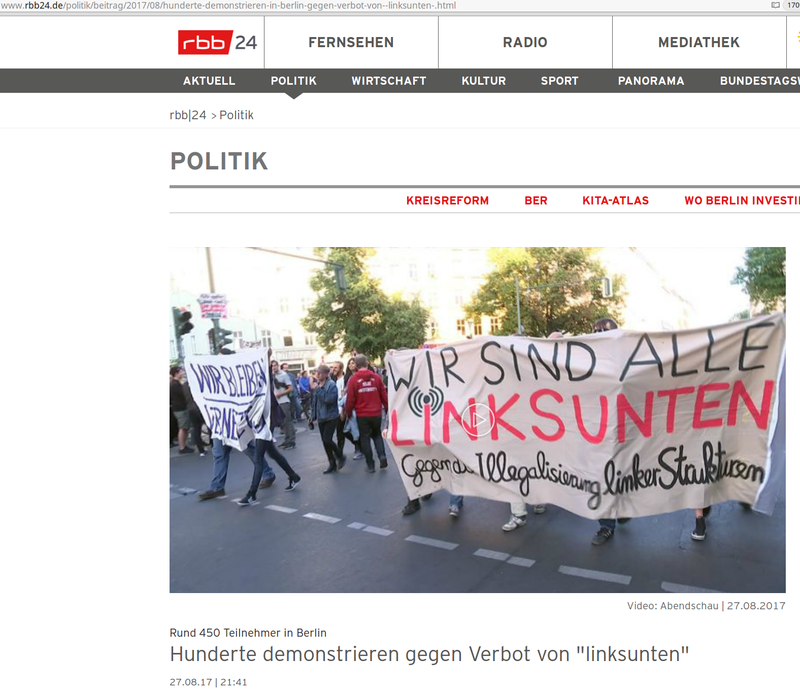 The ban and the raids, shortly before the general elections, are an attack against the whole left movement in Freiburg and everywhere else. 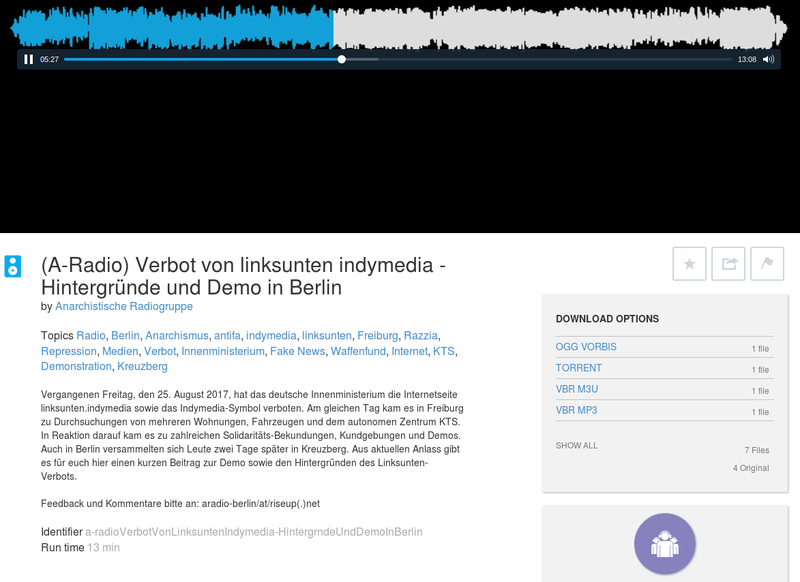 This attack against individuals and the news portal Indymedia are a strategic move by the government to present themselves as a law and order party after the G20 protests. 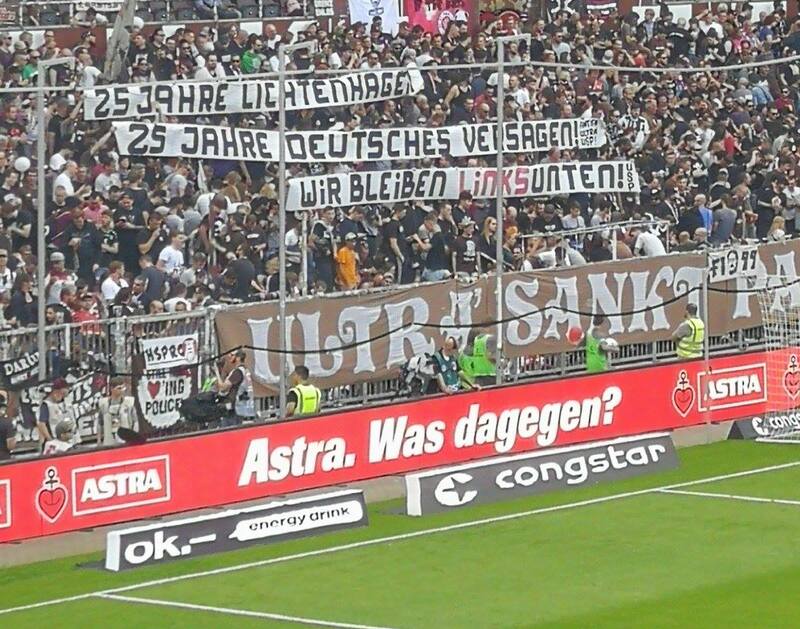 Some individuals were hit, however they meant us all! 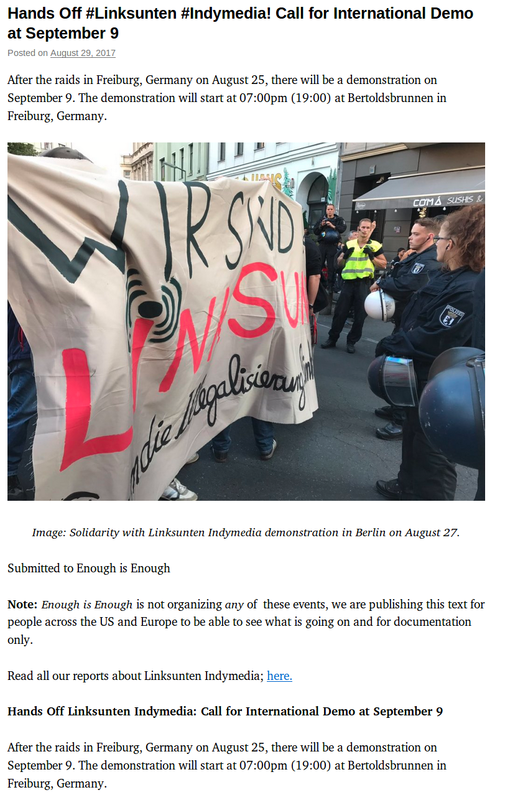 We call on an internationally level all left and emancipatory structures to take the streets, determined, to protest for independent and self-determined media. 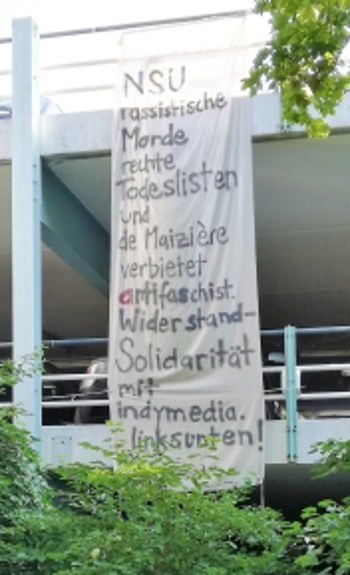 We dont let intimidate ourselves from repression against individuals and structures. 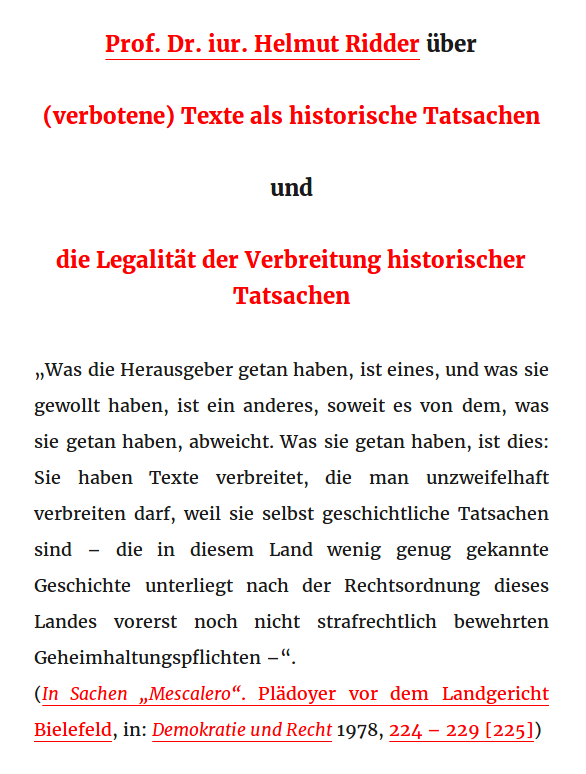 On the contrary – We look in the future with fierce and foresight! 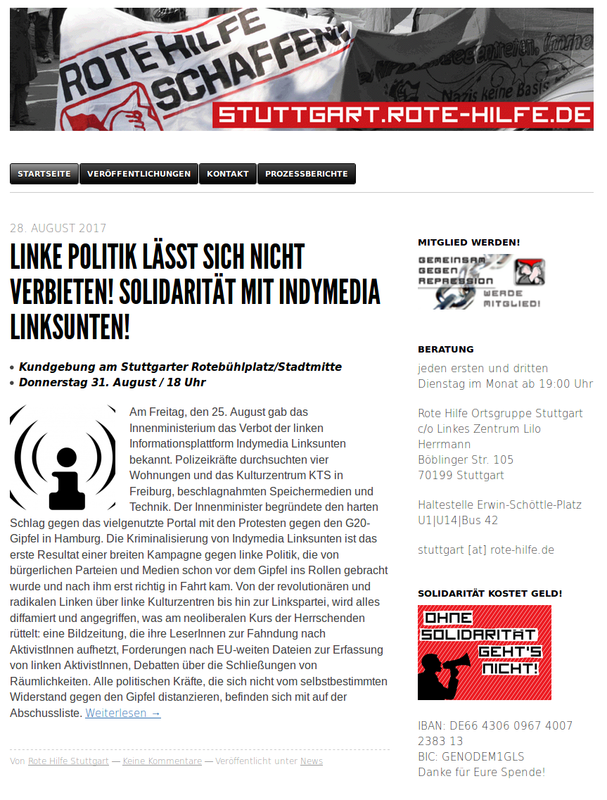 Together against repression and baiting – Defend independent media! 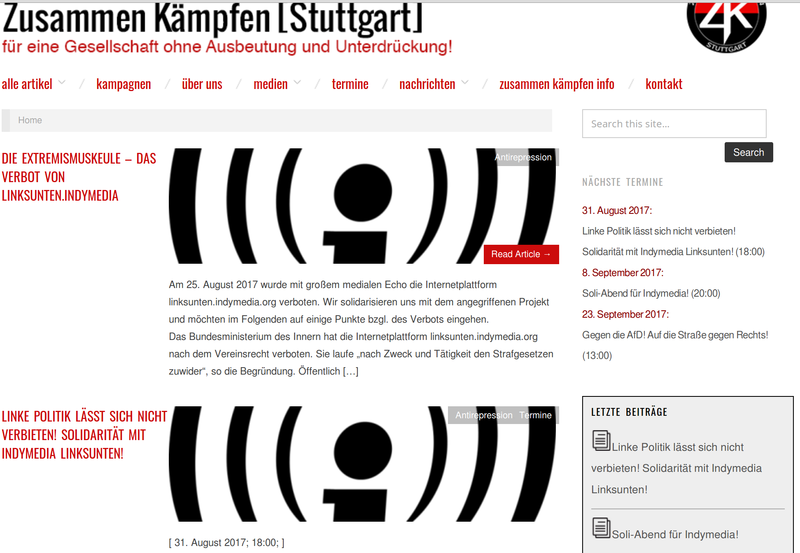 International Demonstration: September 9, 2017, 07:00pm (19:00) at Bertoldsbrunnen in Freiburg, Germany. 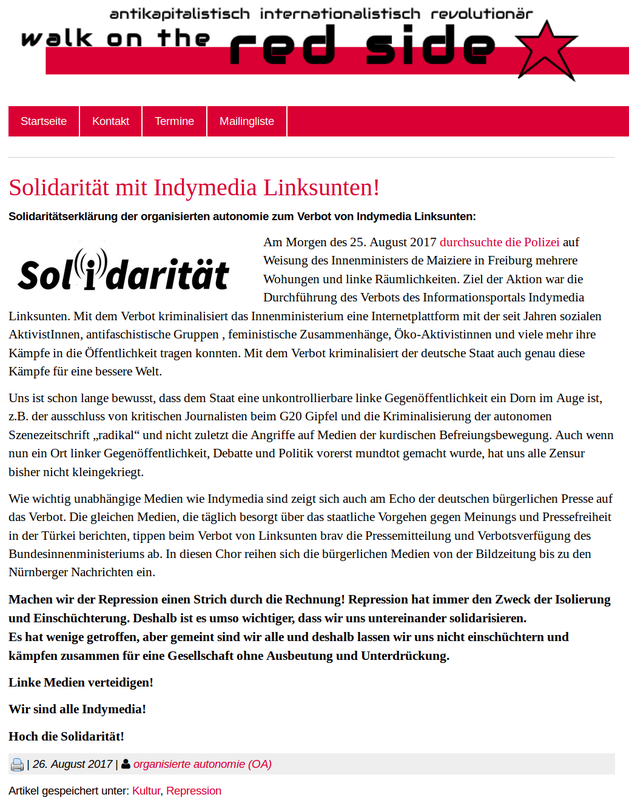 German Indymedia calls for donations to support Linksunten Indymedia.